This was our second play of this game so now it was my turn to suffer the frustration of being the early war Union (had it really been over 6 months since the first!!?). Luckily, C3i 27 arrived from Hexasim the day before our game so we were able to clear up a few of the rule queries from our previous game due to the updated Player Aids and FAQs included with the magazine. I built up the Union forces and concentrated on enforcing the blockade (badly!) 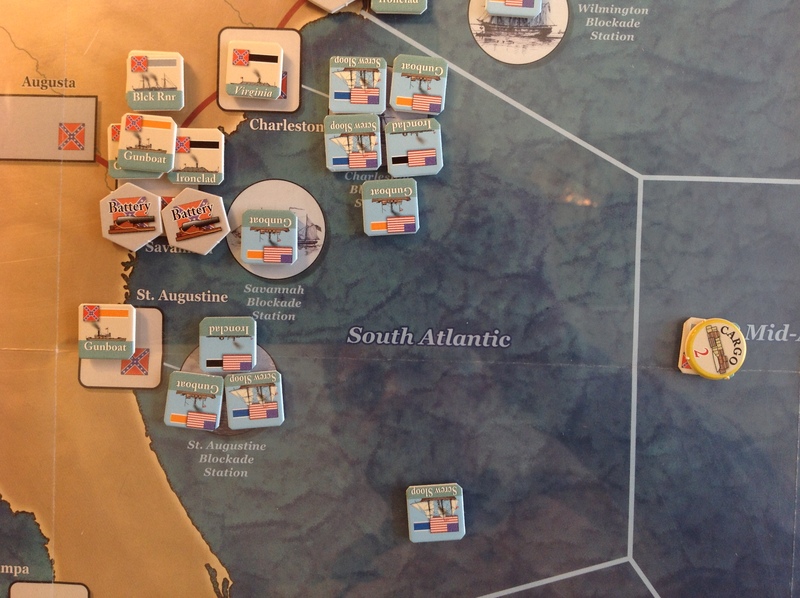 until the April 1863 turn, when the Union gets 3 dice in Land Assaults (from 1 in 1861 and 2 in 1862). With the Confederates in a land battle rolling 2 dice basic plus 1 for every battery which survives the naval battle and also winning ties, going in as the Union before 1863 takes nerve, luck and a stack of good cards (which I had neglected to have the luck to draw). Added to this is that if there are any Confederate ships present in a river or sea port and the Union is attacking by water they have to be defeated before any land assault can take place. 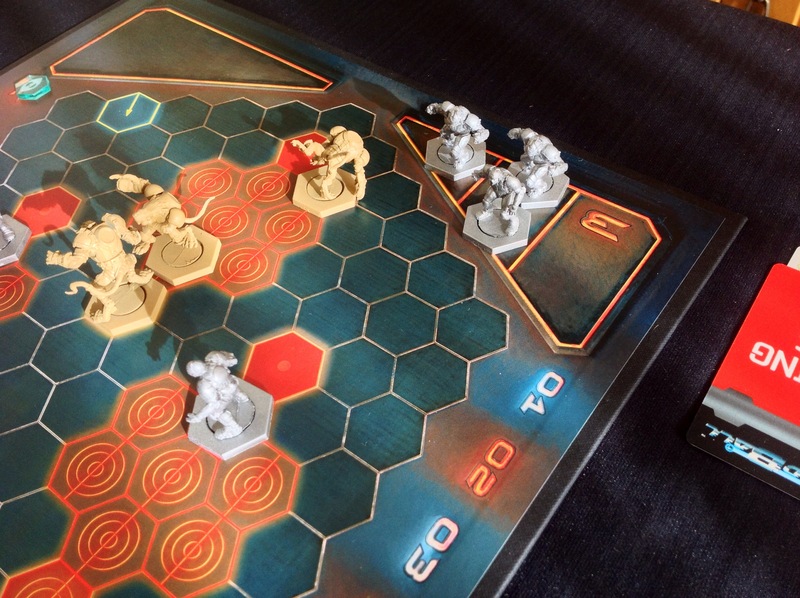 The Union initiates attacks by expending a “cannon pawn” – basically action chits, but they only get 2 free per turn, so if they want to make the full total of 4 attacks per turn they have to have “built” 2 extra pawns in the previous turn – of course, this spending of resources stops them building the Ironclads, Steam Sloops and Gunboats to actually do the fighting. My main push was from Cairo into Fort Henry & Donelson, though I did fight a few naval actions down the East Coast, but even when I succeeded and cleared the Confederate navy out my land assault failed. 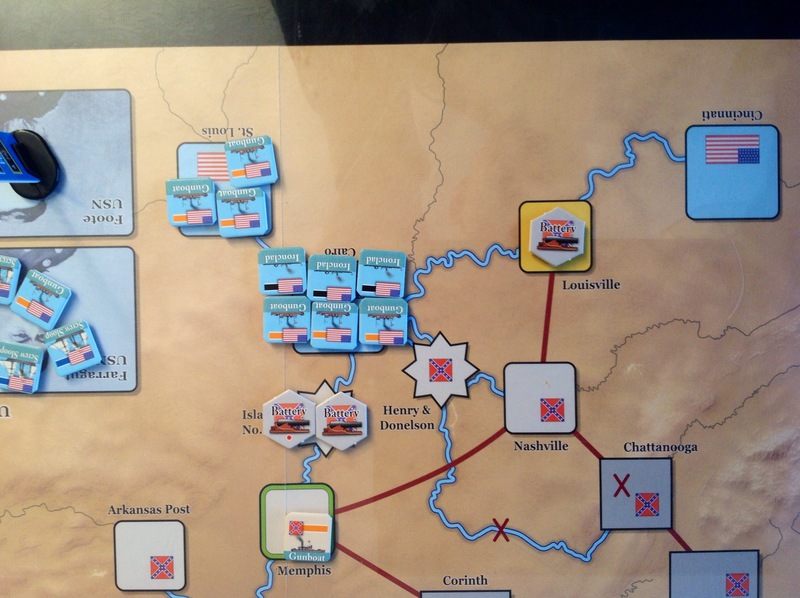 I thought I’d worked out how to take Fort Henry & Donelson by sending in a force to take out the enemy batteries and ships, then sending in a second force to try and take the space through land assault, but this failed through a masterly card-combo from the Confederates. Needless to say, re-rolling any dice or all dice twice with the Confederates winning ties saw me lose the battle. 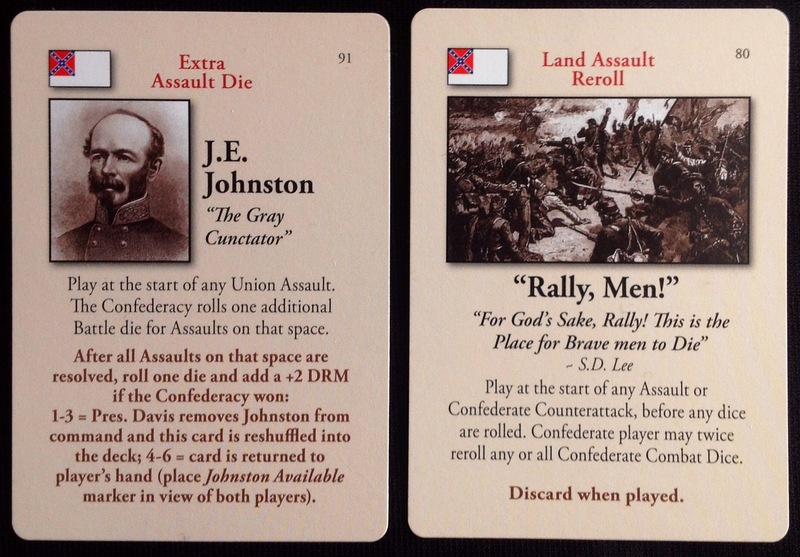 The C3i play sheet insert has an errata which limits Johnston to 1 space per movement phase, but if he succeeds in getting put back into the Confederate hand (which he did), then he can pop up anywhere on the map next turn (which he did). 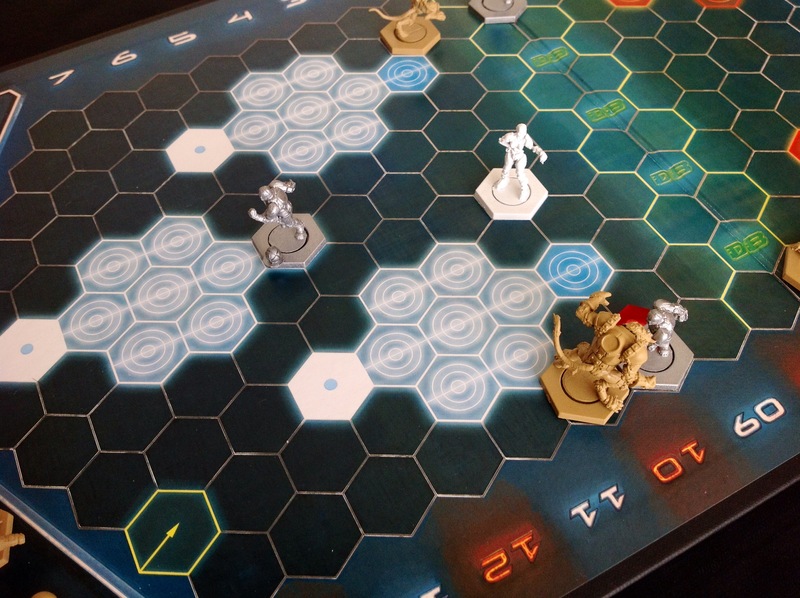 We got in 8 turns in 4 hours, so with 12 turns in the full game (perhaps 13 depending on a card play), we’re looking at 6 hours to finish if the game goes the full distance. 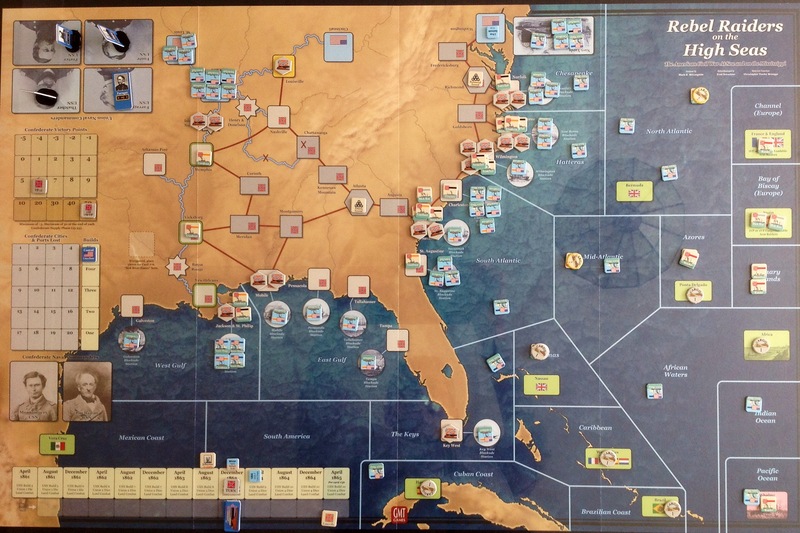 I had to failed to emulate the Union capture of even 1 Confederate port in the last game (Key West), but now we have played 2 games we think that we can use the recommended 1862 scenario and we would probably get it finished. 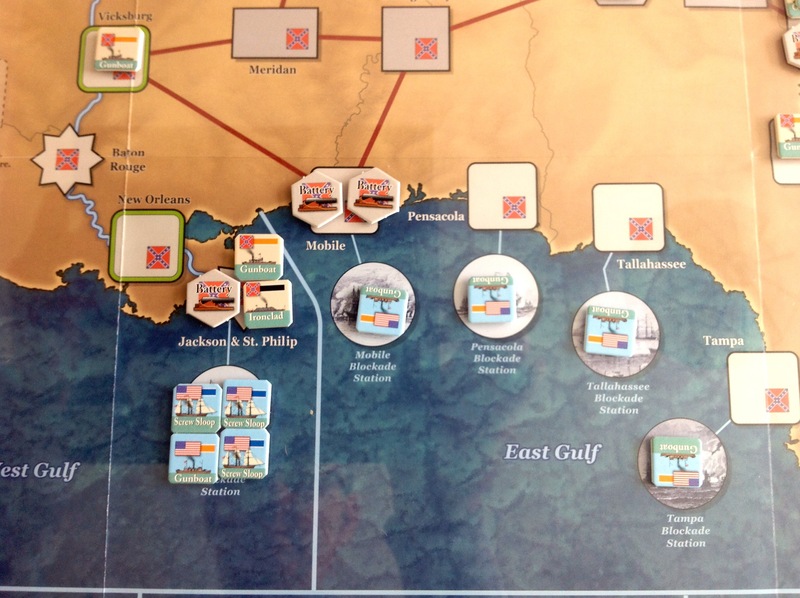 The later start to the game which places more Union forces in the Gulf of Mexico and thus gives them a better starting position might address our queries over game balance. That said, it’s a sign of how good this game is that even while getting stuffed I really enjoyed the game. Recommended. I got this game for Christmas, and though I had built and undercoated the figures I hadn’t felt motivated enough to paint them, at least not until I saw what the game played like. The figures had quite a bit of flash and were made of a plastic/resin mix so the flash was not easy to remove, even with a sharp knife. Tom popped home for the night so we chose to give this a go – appropriate for the same weekend as Ireland v Scotland in the 6 Nations and the Superbowl game. Back in his Bloodbowl days Tom was a Skaven fan, so he took the Vermin team while I took the Humans. There are 3 types of basic players in the game – Guards, Strikers & Jacks. Guards can’t pick up the ball, but are mainly there to flatten the opposition while Strikers are the players who do most of the scoring – Jacks are in-between, they can flatten people or play the ball, but not as well as the specialists. Humans are OK at everything whereas the Vermin are really fast and don’t bother with Jacks, just loads of Strikers and 2 Guards – their Strikers need glasses though, as they are not as accurate at passing or throwing as the Humans. 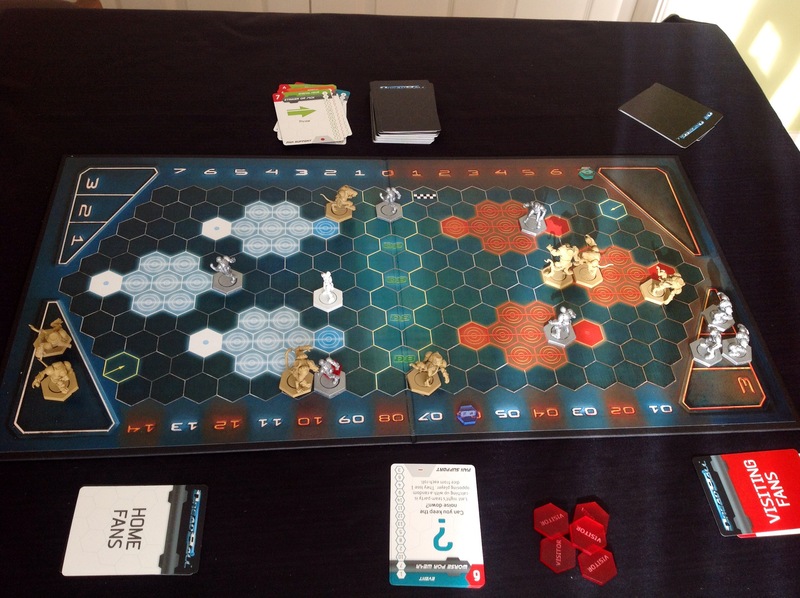 During their turn each team gets 5 actions, but can only play 2 actions on any one player in their turn (“rush”), however “free” actions from doubling success rolls and 1 card per player do not count towards this total, so given the right circumstances a single player might have 5 actions. The Vermin were going to kick off, so I set up my Jacks defending the 3 scoring zones meaning the Vermin would have to shift the Jacks to get a clear shot at goal. That’s exactly what they did – or tried to – lousy rolls meant my Jacks were mostly unmoved. My Guards got mashed though, put off for 2 & 3 turns respectively – one Vermin Guard managed to score 7(!!!) hits against one of my Guards but my Guard excelled himself by managing to save 5 of the hits meaning he was only out of the game for 2 turns rather than being dead. In the other hit, a Rat Guard did manage to put the other one of my Guards out for 3 turns which allowed the Vermin to “showboat” – basically, the fans went wild, he drew a card and got 3 fan points which then turned into a coaching dice. This extra dice can be used to assist in any action and it enabled the Vermin to actually pick up the ball, but then they missed the resulting shot. This 1 point scoring opportunity came on the Vermin’s turn 2 needing one 5 or 6 on 3 dice – predictably he failed and the ball rebounded unkindly, allowing one of my Strikers to run down the other end and score a 4-pointer. There is a weakness in the Vermin Strikers which will probably take a few games to mitigate with tactics. 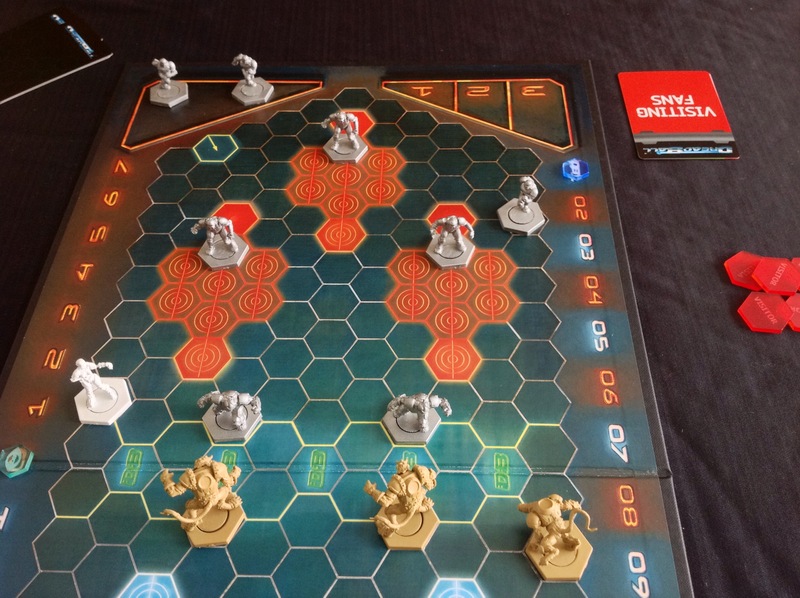 Human Strikers are really good at picking up balls and shooting so in effect I ended up needing to roll 4+ on 2 dice for a shot needing 1 success to win the game – a Vermin Striker in the same situation would have needed a 5 or 6 on 2 dice to succeed – a lot longer odds. Even when picking up the ball, they need a 5 or 6, and this led to a couple of dropped balls which gave possession and scoring opportunities to me – because a failed pick-up means the end of your turn, sensibly the Vermin used most actions before attempting to pick up the ball. They are good at stealing the ball though, so I made sure I left it on the ground rather then holding it in hand at the end of my turn.